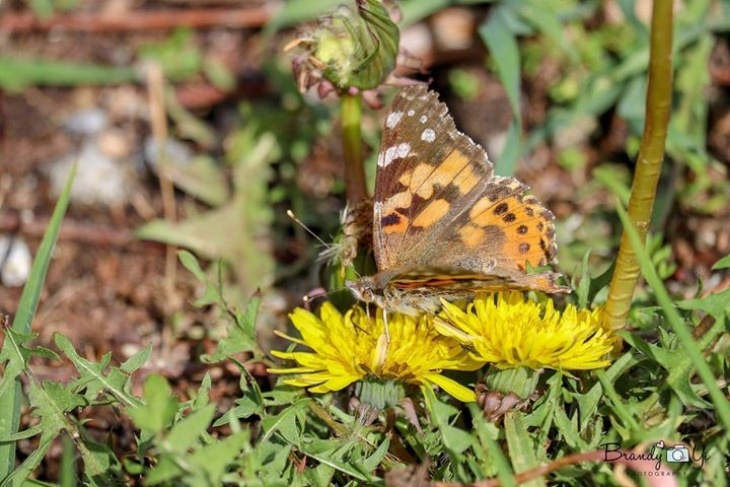 Painted Lady butterflies are flying north after heavy rains and flourishing food sources caused the population to explode. Photo courtesy of Wikimedia Commons. If you've spent any time outside recently, you may have seen an oddly high number... of butterflies. 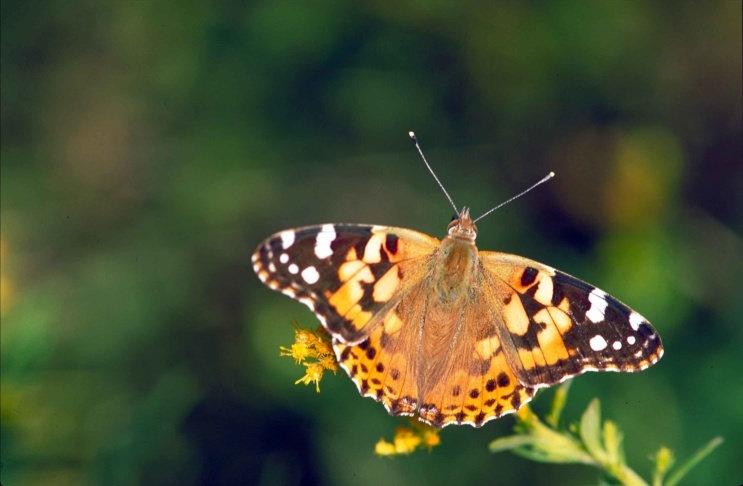 They're called Painted Ladies, and they look and fly like Monarchs. They're orange, black and white and no more than a couple inches long. Living Desert Zoo and Gardens Conservation Director Dr. James Danoff-Burg calls them "magical floating jewels." "The animals are just a constant flow, like water flowing over the ground. It's just so many of them in some places," he said. The butterflies call the areas surrounding the U.S.-Mexico border home. They've come up to the L.A. area because of the rain storms that have been sweeping Southern California. More rain means more butterfly food. And more butterfly food means more butterflies. The Painted Ladies were doing so well down south that their habitat became overcrowded... so now they're moving upstate to lay their eggs, en masse. "They then have such a dense population that they need to disperse," Danoff-Burg said. He lives in the Coachella Valley, where the butterflies have been flying north by the thousands to lay their eggs. The bad news is that the Painted Ladies who fly further north, to the Central Valley, most likely won't be able to handle the colder temperatures during the winter. Danoff-Burg calls it a one-way trip. "Their reproductive success won't be great," he said. I thought they were blowing leaves at first, but no ... SO MANY BUTTERFLIES in #Pasadena today. Mass migration? Are cocoons opening en masse in a sign of spring? Looking to keep the magical floating jewels around? Danoff-Burg said the answer is planting more native California plants for them to feed on. That, and driving slower. "The slower we drive the more response time they have to fly higher in the air to avoid your car and not become paint on the front of your grill," he said. He said the best view of the Painted Ladies is in the Coachella Valley. But viewers have to hurry. Their adult life expectancy is 2-4 weeks.